Retail Price: $2,695.95 ONLY: $2,399.95! 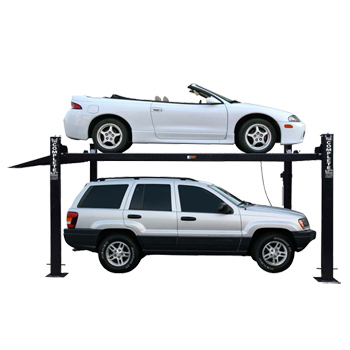 The CLT 8,000 FP XLT is a 4 Post Lift designed with car collectors, hobby mechanics and those looking to add parking space to their garage in mind. *The Safety Lock Position measurements above are measured from both the Bottom of the Lift's Runway and the Top of the Runway, as indicated above. For specification drawings, see the Layout Drawing section, and for specification photos, check the Photo Gallery. NOTE: All specifications, pricing, and availability are subject to change. The specs above are for the CLT 8,000 FP XLT. 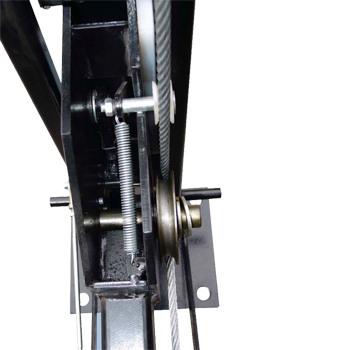 Complete Hydraulic also offers a wide variety of other 4 Post Lifts. 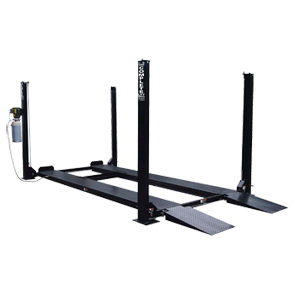 To see the other Portable 4 Post Lifts we have available, and for product comparisons, click here. 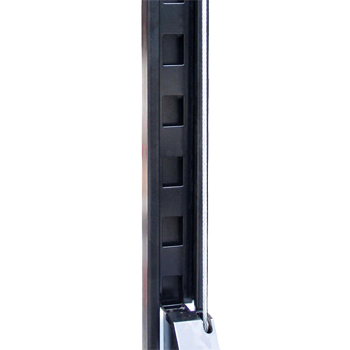 The CLT 8,000 FP XLT Four Post Lift's weight is just under 1,900 LBS. If you have any questions regarding shipping procedures or would like more information on this equipment, PLEASE CALL US AT 1-888-736-5094! For more thorough overview of CHSSI's shipping policies, Auto Lift shipping details.